Lisa joined Studio (www.studio.live) as the Vice President of Content and programming along with Head Instructor. She has a wealth of experience teaching boutique fitness classes and working as a fitness professional in New York City. 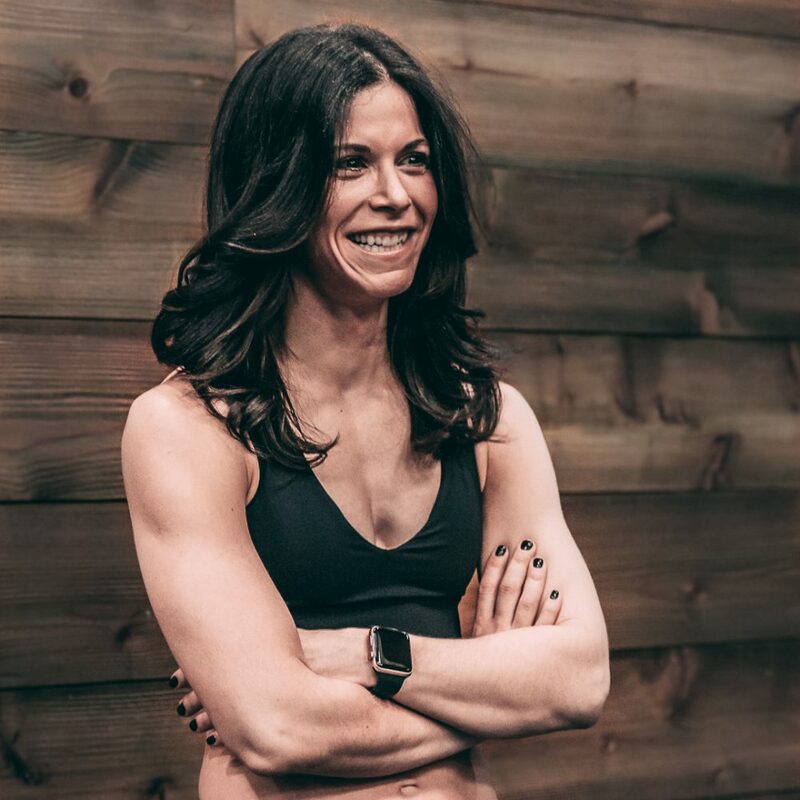 It wasn’t until she moved to New York to attend college at New York University’s Leonard N. Stern School of Business that she became hooked on indoor cycling and strength plus functional training, with a passion that quickly led her to the instructor podium. Lisa went on to teach at Flywheel Sports and was the original Head Instructor Peloton Cycle in New York City. Additionally, Lisa is a trainer at CITYROW in NYC, a certified Personal Trainer in NYC and instructs boot camp, kettlebells, and TRX classes. Lets learn more about Lisa’s journey with Kegenix. Kegenix helped me lose 5% body fat. Something I didn’t know was possible. I am so glad I found it and tried it. I eat pretty clean. I have celiac so I don’t eat any gluten. I train very hard, but often find that to get the muscle definition I want, I have to be absurdly careful about what I eat. That is until I found Kegenix. I found Kegenix because of my boyfriend, who swears by it. I honestly was skeptical at best. I am a trainer, group fitness instructor, run a digital platform and an avid crossfitter who also does a lot of body building. I take plenty of supplements and I didn’t really think Kegenix would help me. These products are AMAZING. I don’t keep a keto diet, but I do know all about it and typically do not consume many carbs. For me, these products helped me lose body fat and also gave me immense amounts of energy. I use the Kegenix Ignite product every day. The taste is amazing and I instantly noticed a difference in my energy and a boost in my mood. I no longer have coffee when I get to work, I just use Kegenix Ignite. This product also helps with my mental focus too! Kegenix Ignite is a true pick me up and total game changer. I can only imagine how much better it would be if I was keto! I first tried the Keto Meal Replacement and I was in heaven. The chocolate is UNREAL. I am a chocoholic and if anything tastes fake or has an aftertaste it just isn’t for me. I typically mix it with unsweetened almond, coconut or cashew milk and put it in a blender with some ice. Staying in ketosis isn’t easy in general, but with the taste of the meal replacement it is not only easy but enjoyable. I attribute a lot of my weight loss and fat loss to the meal replacement, which keeps me full and in ketosis. I was able to verify, using a blood meter that Kegenix Prime caused my ketone levels to be significantly higher using this product than without. This translates to more energy, both at work and at the gym. For me, the fat loss and shredded look is so appealing because of my job at work and constantly having shoots and videos, which means I need to look and feel my best. Kegenix is an exogenous ketone supplement that’s effective with any diet (Keto, Paleo, WeightWatchers, Atkins, etc.) contributes to weight loss, a boost in energy, and cognitive awareness. Kegenix uses patented KETO Bio-Blend 60™ technology, which allows your body to produce its own ketones, and is stronger and lasts longer than other keto imitators. Studies show that the patented combination Kegenix™ PRIME’s key ingredients are an effective tool in: losing weight, reducing cravings, increasing energy, gaining focus, sleeping better and flattening stomachs.